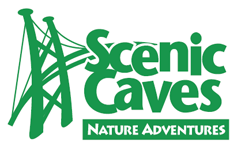 Scenic Caves Nature Adventures is a tourism award-winning natural attraction offering year-round seasonal outdoor activities for all ages. Designated by the Canadian Tourism Commission as a national “Canadian Signature Experience” it showcases Canada’s people, geography, history and culture. Explore a self-guided tour of caves, caverns and crevasses. Study the geological features carved millions of years ago by glacial ice. Examine the rare flora, fauna and undergrowth. Discover the mysterious hiding places of the First Nation’s Huron Petun tribe. Explore the legends, first recorded in the early 1600’s by Jesuit Father Jean de Brebeuf. As you walk the path of the “Village of the Souls”, signage indicates iconic rocks such as Ekarenniondi and the spiritual helper Oscotarach, the Head-Piercer. Venture over Southern Ontario’s longest 420 ft. Suspension Bridge and view the panoramic 10,000 sq. km. geography of the area. Sift through semi-precious gemstones using a panning tray with a screen bottom at the man-made water tower. Negotiate the obstacles at the mini-golf course. Feed the fish in the trout pond. 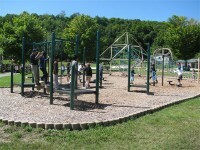 Exercise your climbing and swinging muscles at the Children’s Adventure Playground. For Grades 4 – 8, complimentary educational materials which have been written for teachers by teachers, and meet the expectations outlined in the Ontario Curriculum for Science. Each unit includes lesson plans, ‘fun facts’ and worksheets. Walk with the Squirrels and Fly with the Birds! 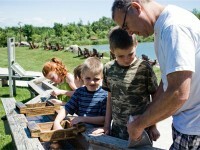 Guided by professional interpreters, the three hour Eco Adventure Tour promises exercise, adventure and education. Venture across southern Ontario’s longest 420 ft. 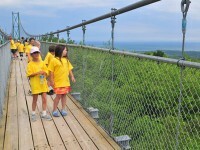 Suspension Bridge, and view the panoramic geography of Georgian Bay and countryside from the highest point of the Niagara Escarpment. 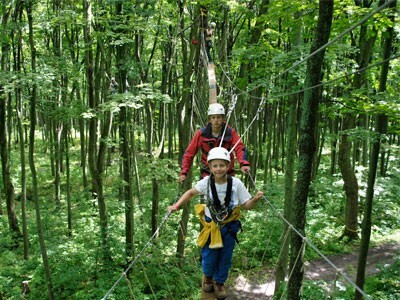 Treetop walk along gently swaying 10” wide airborne walkways, over six hundred meters linking sixteen trees. At heights of up to sixty meters above the forest floor, learn about the plant and animal ecosystems particular to this UNESCO designated biosphere reserve. Glide a 300 ft. forest zip line down to the caves & caverns to discover secret hiding places and hear about the legends of the First Nation’s Petun tribe. 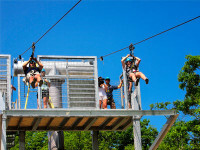 The grand finale is a 1000 ft. escarpment zip ride where you drop a dizzying forty-eight meters from cliff top to earth. This experience covers numerous subject areas: arts, science & technology, health & physical education, Canada & world studies, multicultural and language. Availability: Tuesday – Friday, Spring & Fall only. 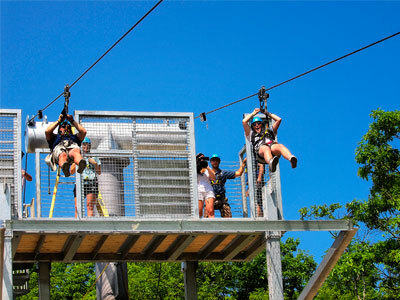 The Thunderbird Twin Zip Line is Canada’s longest twin zip line, features a span of a half-mile and is located at the highest point of the Niagara Escarpment in the centre of the park. 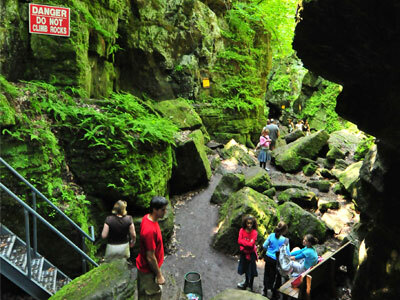 The adventure begins with a self-guided tour of the caves, caverns and crevasses carved by receding glaciers. Explore the legends of the First Nation’s Huron Petun tribe, first recorded in the early 1600’s by Jesuit Father Jean de Brebeuf. Native people spoke of a mysterious giant bird which nested at the top of the mountain, thus it is fitting you climb a circular staircase up a 50ft. steel tower to the Thunderbird nest. The Thunderbird features new technology. 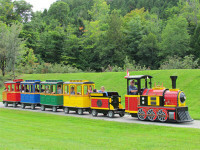 Each trolley is dynamically controlled, allowing each rider to manipulate their own zip ride speed. Soaring like a bird from a vertical drop of 300 ft. you are propelled by gravity to the valley below at speeds of up to 70 kph. 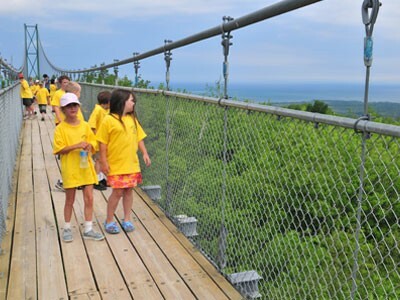 After un-harnessing, you continue your hike along Southern Ontario’s longest 420 ft. Suspension Bridge, viewing 10,000 sq. km. of south Georgian Bay. Learning opportunities include: Health and Safety, Matter and Energy, Life systems, Structures and Mechanisms, in addition to environment, History, Geography, Social Studies. 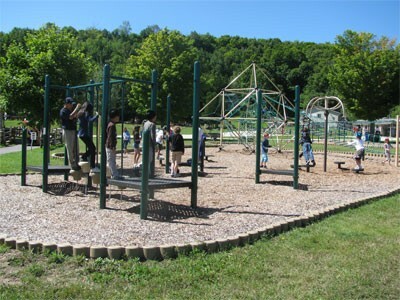 When the temperature drops, connect to the great outdoors for the coolest learning adventures. Uniquely located high atop the mountain on 370 acres of the Niagara Escarpment, the Nordic Centre is situated in a designated UNESCO biosphere reserve. Set in a 200 year old forest of 100 foot tall maple, beech and oak trees, our winter wonderland offers an excellent elevation for snow conditions and consistent temperatures. Glide along 27 km. 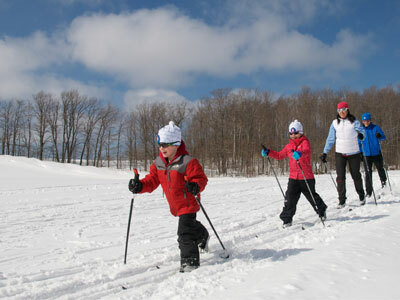 of cross country ski trails professionally groomed daily for both classic and skate skiing. Snowshoe across Southern Ontario’s longest 420 ft. 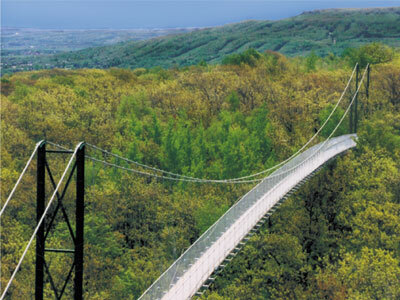 Suspension Bridge providing spectacular views of the countryside or explore the 10 km. of pristine snowshoe trails. All trails are well-marked and rated by level of difficulty. Also available: cross-country ski lessons, rentals of the newest brands in cross-country ski and snowshoe equipment, waxing facilities, warm-up chalet, snack bar. 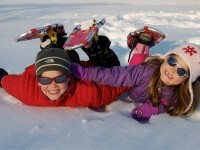 Technical Requirements: Winter Excursion Parent Consent Form and Equipment Rental Contracts required.